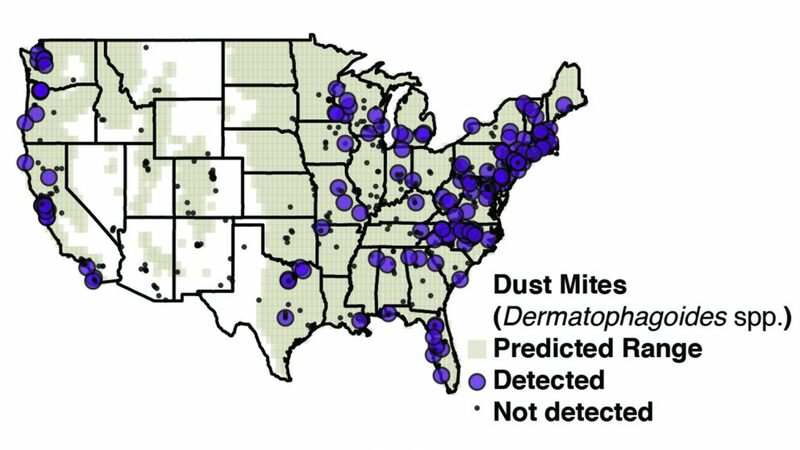 Distribution of dust mites detected in door trim dust from inside homes across the United States (purple) compared with the range where they are predicted to be most abundant (tan). Image credit: Anne A. Madden. Researchers from North Carolina State University and the University of Colorado Boulder used DNA testing and citizen science to create an “atlas” that shows the range and diversity of arthropods found in homes across the continental United States. 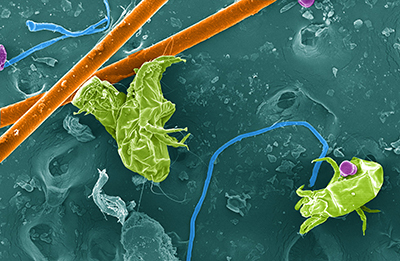 Scanning electron micrograph of home dust including dust mites, animal fur, fibers, and pollen. Image credit: Anne A. Madden, with the assistance from Robert Mcgugan at the University of Colorado, Boulder Nanomaterials Characterization Facility. False-coloring done by Robin Hacker-Cary. Click to enlarge. To collect nationwide data, the researchers recruited more than 700 households across all 48 states in the continental United States. Study participants swabbed dust from the top of a doorway inside their house or apartment. The swab was then sealed and sent to the research team, which used high-throughput DNA analysis to identify every genus of arthropod DNA found in the dust samples. After analyzing the data, researchers identified several variables that were associated with greater arthropod diversity: having cats or dogs in the home; having a home in a rural area; or having a home with a basement. 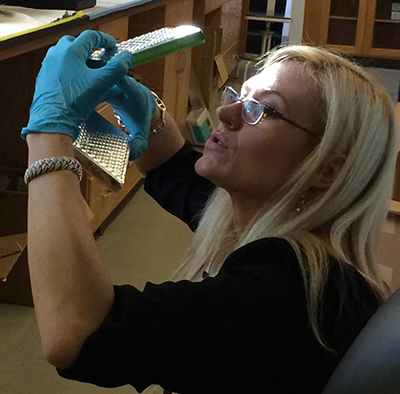 Researcher Anne Madden, looking at trays of samples containing DNA samples from homes. Image Credit: Adrianne A. Madden. These findings expand on previous work that found pet ownership also increased the biodiversity of microbial organisms, such as bacteria and fungi. However, the scope of the study data also allowed the researchers to create a national atlas they can use to track the range of specific arthropod genera. And, depending on the genus, climate factors were seen to play a significant role in determining the range of some arthropods. 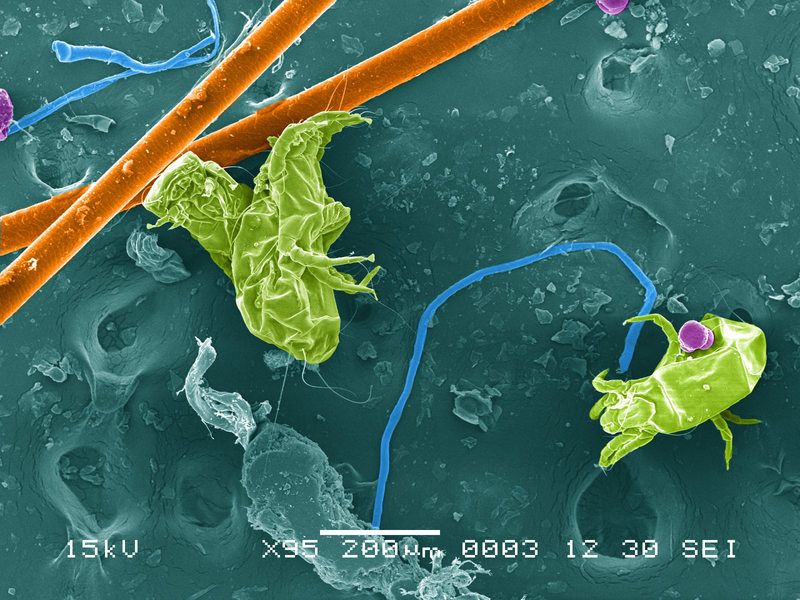 For example, dust mites can be serious allergens in homes and the team found that they were more often associated with homes in humid regions of the country. In addition, researchers were able to use the atlas to identify genera that had significantly expanded their range – but no one had previously noticed. For example, the Turkestan cockroach (Shelfordella lateralis) was previously thought to be found only in the southern and western regions of the United States – but the data from this study showed that it had expanded as far as the Northeast. “We’re just scratching the surface of how we can use this data set and the arthropod atlas,” Madden says. “What can it tell us about the food webs in our own homes? What can it tell us about how arthropod populations expand and contract across the country? What emerging allergens can it reveal? We’re just getting started. The paper, “The diversity of arthropods in homes across the United States as determined by environmental DNA analyses,” is published in the journal Molecular Ecology. The paper was co-authored by Albert Barberán and Noah Fierer of the University of Colorado Boulder; Matthew Bertone and Holly Menninger of NC State; and Rob Dunn of NC State and the University of Copenhagen. The work was done with support from the Alfred P. Sloan Foundation. Abstract: We spend most of our lives inside homes, surrounded by 3 arthropods that impact our property as pests and our health as disease vectors and producers of sensitizing allergens. Despite their relevance to human health and well-being, we know relatively little about the arthropods that exist in our homes and the factors structuring their diversity. Since previous work has been limited in scale by the costs and time associated with collecting arthropods and the subsequent morphological identification we used a DNA-based method for investigating the arthropod diversity in homes via high-throughput marker gene sequencing of home dust. 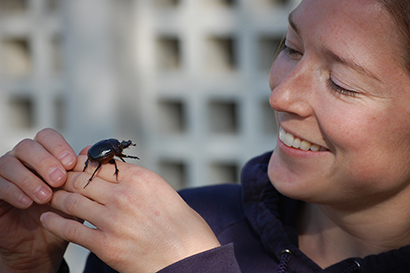 Settled dust samples were collected by citizen scientists from both inside and outside more than 700 homes across the United States, yielding the first continental-scale estimates of arthropod diversity associated with our residences. We were able to document food webs and previously unknown geographic distributions of diverse arthropods—from allergen producers to invasive species and nuisance pests. Home characteristics, including the presence of basements, home occupants, and surrounding land-use, were more useful than climate parameters at predicting arthropod diversity in homes. These non-invasive, scalable tools and resultant findings not only provide the first continental-scale maps of household arthropod diversity, our analyses also provide valuable baseline information on arthropod allergen exposures and the distributions of invasive pests inside homes. Researchers from the University of York are fitting one thousand northern hairy wood ants with tiny radio receivers in a world first experiment to find out how they communicate and travel between their complex nests. The three-year research project will take place on the National Trust’s Longshaw Estate in Derbyshire a hotspot for these internationally protected ants. This unique site contains more than a thousand nests and is home to up to 50 million worker ants. 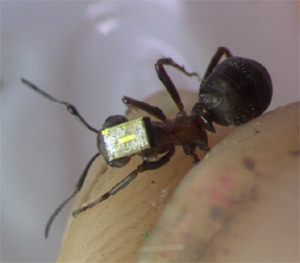 Experts will carefully catch the ants and in a few seconds attach a radio receiver of one millimetre to each one. The ants are the size of an adult thumbnail but this process will not interfere with, nor harm them in any way. 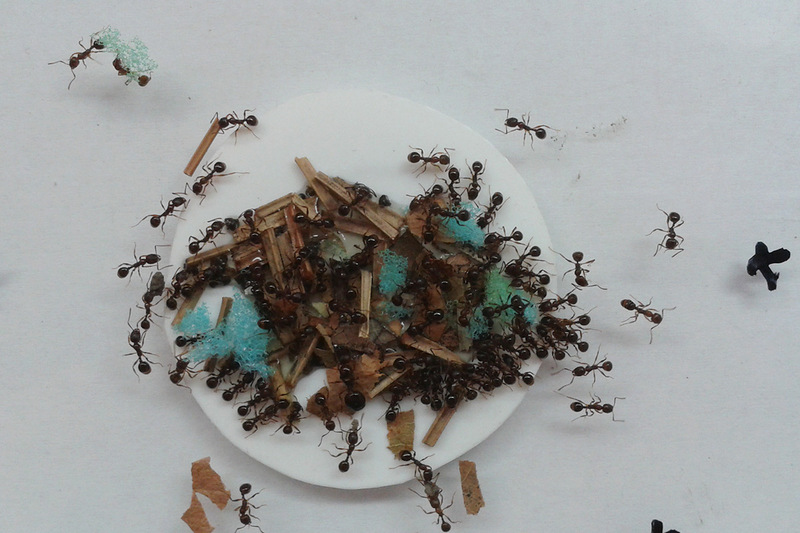 Researchers will examine how the ants communicate with each other in their colonies, which are housed in several nests connected by a network of ant highways, with multiple ant queens spread between the nests. The findings from the research will then be used by National Trust staff on the Longshaw estate to manage the ancient woodland, made up of oak and birch trees, where the ants can be found. Samuel Ellis, the biologist from the University of York, who will be carrying out the research, said: “This research is about trying to find out how the ants communicate and commute between the vast network of nests and how they travel in this environment. “The radio receivers act like a barcode to mark out each individual ant. A single ant is not particularly clever but is part of an elaborate system that is clearly performing very effectively at Longshaw. Findings will also influence the land management of Longshaw as the ants depend on sap-sucking aphids that favour oak, birch and pine trees but northern hairy wood ant populations struggle in dense woodland of this kind. The ants use the honeydew produced by gently stroking these aphids to feed their young and in return the ants protect the aphids. Chris Millner, National Trust Area Ranger at Longshaw, said: “It is fascinating to sit and watch the ants as they go about their business and they are easy to spot on a sunny day as they gather in vast numbers around their nests at this very special site. “We will be carrying out some forestry work over the next few years, removing lots of conifer trees from modern plantations which will create a larger area of wood pasture, ideal for the ants to move into. The northern hairy wood ant has an international near-threatened conservation status with the two main populations in England found in the Peak District (including Longshaw) and in the North York Moors. Hairy wood ants (Formica lugubris) are a northern species in the UK, but can be found as far south as mid-Wales. The hairy wood ant is named so because of its hairy ‘eyebrows’ visible through a microscope. Hairy wood ants live in mound-shaped nests made out of leaves and twigs and are designed keep the nest warm by trapping heat. They can defend themselves from predators by spraying formic acid a smelly substance about as strong as vinegar which can blister the skin. Some birds such as Jays and Green Woodpeckers use this spraying to their advantage, using the formic acid as a cleansing agent to get rid of parasites. Queens can live for up to 15 years, whereas workers live for about a year. They are aggressively territorial, and will often attack and remove other ant species from the area. The wood ant is the largest native ant species of the British Isles. Workers can measure from 8-10mm in length. The ants are carnivorous and workers can find food by hunting and scavenging, they locate prey by vibration although they can see for up to 10cm. In the tree canopy Hairy Wood ants farm herds of aphids, milking them for sugar rich honeydew, and protecting them from predators. They also aggressively hunt other invertebrates. The newfound ant, which is less than a quarter of an inch long, may use its mouth-parts to capture prey. Because the only known specimen of L. hoelldobleri is a dead one from a frog’s stomach, scientists know almost nothing about it. 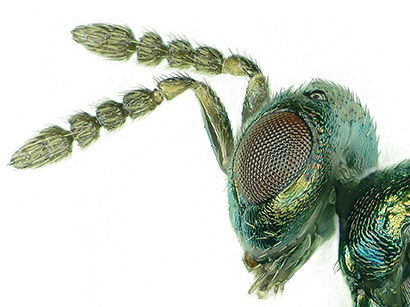 “Physiologists regard ants as mini chemical factories,” adds Rabeling. The insects likely use the chemicals as signals to communicate with other ants in their complex societies. It seems the little devil’s frog’s belly might be the gift that keeps on giving.